There is no handbook that explains how we are supposed to handle the phenomena that occurs when human beings on a planet begin to vibrate much differently from each other. 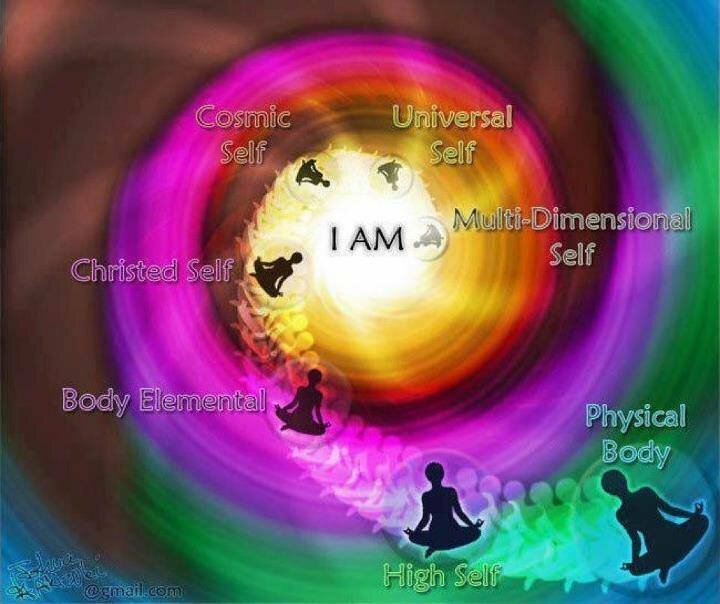 On a deeper level we know that we are all connected. Until a major tipping point occurs that will shift us into a more comfortable situation, how can we continue to live together on this planet without going insane or causing harm to one another? Because of the splitting of vibration, “my way or the highway” seems to be the theme of 2014. It seems as if there has been a great energetic beam that has zapped some people, catapulting them one direction while other people drift the opposite way while Mother Earth sits in the middle, nurturing both groups. I have been observing people playing musical chairs in order to settle back into a vibration that feels most comfortable to them. Social forums like In5d, various chat rooms, and Face book have become wonderful tools in sharing personal experiences with ascension into your eternal creative being. If you have ever participated in one of these platforms or have read the resulting comments, then I’m sure you will recognize some of the things I am going to share with you. As a writer, chatter, and blogger, I have shared articles about my extraterrestrial persona as one who has traveled the Universe to many other planets and solar systems in preparation for this lifetime. I have also shared deep articles about my spiritual persona who is trying to integrate and heal those lifetimes in order to be the new “version” of the online human being. I also feel there is a part of me that sits in the center of the Cosmos next to that being that created this whole experience which I might call my “angelic self”. There are many other parts of me; thus I am many beings all wrapped up into one. My observations are astounding as to the opposition and comments of those who “question everything” in a negative way, especially when it comes to other people’s experiences. I am going to use these examples to explain what kind of reaction I have had to them in order to share what I feel like is causing these reactions. Reaction #1: Dualistic programming that splits thing into either/or decisions. One moment you are talking about being an alien and the next you say you are saying that you are a spiritual teacher. Well, are you an alien or are you a spiritual person? I am a human, i.e. I can touch my arm and know that I am in a human body so you go ahead and act like an alien (ha ha), while I deal with the reality in front of me like an intelligent human being. Reaction #2: The ego reacts to another who is a wayshower. When someone stands up in front to others to share experiences or things they have learned they are sometimes criticized for wanting to be a guru or and are accused of taking advantage of people financially or may actually be accused of being a poser or fake. I feel like some of these people deep down inside may connect with one of these way showers and they actually agree with some or all of what they are saying, however their conscious self or ego sends out a signal of self defense that says “why didn’t I think of sharing my experience first”, or “if we are one then what makes them so special”. Another situation that may arise is say someone who doesn’t intend to be a guru or doesn’t even act like a guru ends up having a lot of followers anyway. People then say not to trust anyone who is seen as a guru or wants you to follow them (based only on the fact that they have followers that they did not intend on having). Reaction #3: Your experience can’t be true because it isn’t in my experience. Even when the information is clearly shared as having come from the inner sight or knowing as a personal experience, the resulting information is misconstrued as “wrong”. Sometimes this negativity can be recognized as a threat to the person’s ego. A defense mechanism kicks in that says “in no way am I going to allow someone else to shatter my reality that I have created”. Reaction #4: I am an angel and I don’t agree or vibrate with you, therefore you must be a dark being or influenced by a dark being. In my opinion, very few beings originate from the core of this planet. 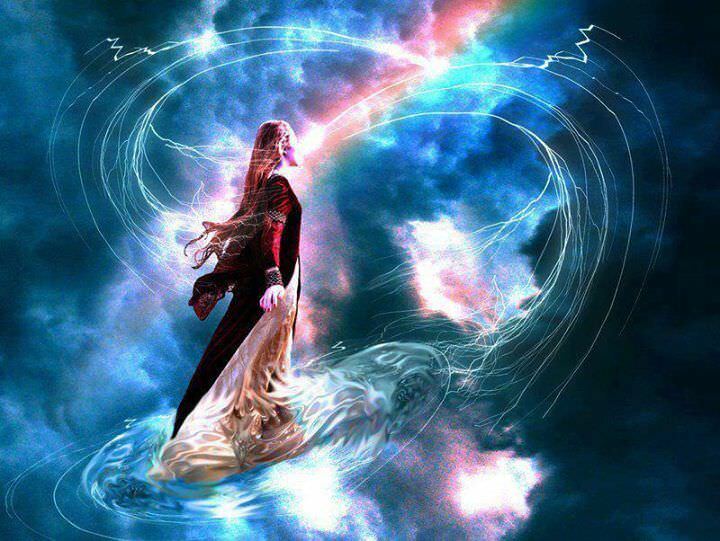 Ultimately, most all of us are “angels” (extraterrestrial messengers), whether we are an angel of the light, whether we chose to fall and serve the experience as part of the dark, or whether we are neutral being here to help Earth with her mission. The term angel simple means messenger of God or Source, which was as aspect of energy sent out to experience a denser vibrational level in physical form. When the message or vibration returns to Source, it helps Source to know itself by reflection. With this example you can see how things can be viewed different ways. Reaction #5: You are a New Age Religion fanatic or a disinfo agent. Unfortunately, there are people who try to compartmentalize things into New Age or not New Age that cannot be compartmentalized since many terms in our language have different meanings to many people. For Example, some who adhere to the Jesus/Christ Consciousness theory are belittled as New Agers to some who are following astrotheology. On the other hand, some people think of the Jesus story as part of the false light archonic matrix. While there is definitely a disinformation scheme created which is designed to cause confusion, dissention, and disappointment, it is judgmental to place someone else’s experiences or practices in an either/or category of New Age. A better way to describe something might be multidimensional (light, hierarchal, dark (mostly disconnected from organic Source energy), and neutral (connected to Source energy through dark matter). With this being said it makes you realize that even religion itself should not be judged as it may just well be the avenue that someone signed up for as a tool and a great challenge with which to awaken to who they really are. Some people also feel like everything should be given away for free in the spiritual and metaphysical world in order to serve in humanity’s best interest. There are people like me who provide experiences for free, and have not yet figured out how to survive in this halfway house. The show may have to come to an end for me and for many people in my situation as a website author and blogger as the last of our savings begins to run dry. This is mostly due to those who think there should be no energy exchange for spiritual information but they are only guarding their own interests in a wrecked economy. Of course this also leaves the charlatans that have capitalized on the growing light based spiritual movement and a dark agenda New Age One World Religion quite nicely. However, I have to reflect on the fact that they are pretty fortunate to not have to sit in an office for 8 hours per day working for someone else or wasting time driving or sitting in traffic. In my opinion, every moment you can spend in personal reflection and growth will make you that much fulfilled in the long run, and in that way energy will be returned to you in other ways than money. On a bigger scale, I am you and you are me. But at this moment of now we are individual aspects of consciousness that have flown the coup to the densest part of this program and are having a unique human body experience. Such is the irony of the densest physicality in the 3rd-5th dimensions. This Earthly existence presents some of the most challenging and rewarding experiences for spiritual growth anywhere in out Cosmos. My main conclusion is that everyone should learn to be responsible for his or her own actions. Since thoughts are energy, creating negative thoughts adds negative energy to the collective human consciousness that Pierre De Chardin named the Noosphere. By decreasing the amount of negative thoughts the consciousness can be tipped to a positive majority. When this occurs, we will no longer have the extreme negativity in our reality. We will have risen above, away, within, or without it, however you choose to see it. The Golden Rule rules here, and as Cameron Day says may be the one Universal Law we could focus on integrating over all others at this time. I have also learned how to share my experiences and subsequent observations without sounding like a teacher and try to question everything without judging or negating the other’s experience. This includes remembering to preface your opinions with “in my opinion”, “I feel like”, or “in my experience”. Prefacing it this way seems to ease the part of someone else that wants to automatically negate what you are sharing. Robert Stanley suggests that this experience we are having right now is our ultimate test as to whether we are ready to move forward to the next level. If people can’t get along and show respect on chat rooms and Face book forums, then how will they responsibly use the power to access the Universe? This seems to me like one of the most important things to reflect upon right now. Some say they want no rules but on the other hand without rules you allow irresponsible people to exist in your own version of your world and the vibrations do not match. This creates dissonance as evidenced by the Universal the Law of Vibrational Attainment. Choice 1– Do your “inner work” and raise your consciousness, and stay grounded and centered. Be responsible for yourself using the tools of compassion, forgiveness, gratefulness, and love. Learn to minimize your ego and balance your emotional body. Choice 2– Become and energy harvester in order to continue in the same level of consciousness for another 26,000 years or so until another chance to move forward rolls around. However, some of these people will not be able to sustain by harvesting and will end up turning into “space dust”. How do we exist together when we have the illusion of separation? I have found that it helps to always do your best to take the high road. From a higher perspective, there is no right or wrong, there is only experience. However, you can try different things to see what works and does not work for you. Be the observer of the play from the balcony instead of the judge with the gavel, and make changes in your life that will support expansion vs. contraction and love vs. fear. If anything, my observations have given me great material to write about and have provided wonderful lessons for growth as one who has faced the fear of ridicule in order to share experiences. Even if I help just one person I feel like I am contributing to humanity. Many astrological and psychic reading perfectly line up with and explain my interests in this lifetime which all lead to what I am doing at this point in my life. I encourage everyone to keep on trucking through what is the transition of the winding down of many cycles upon cycles. There may be one great big wheel that will eventually click and open up a new existence for those who choose it. Until then, realize that we are individualized for a reason yet all connected in order to experience the great duality and polarization of this created experience, and how we deal with it on an individual level reflects our understanding of who we are on a broader level. About the author: Michelle Walling is a Certified Holistic Life Coach. She has devoted her life to being a bearer and grounder of the light in service to others. As a truth seeker, she is committed to share her experiences with the world. She is also a hands-on healer, a distance healer, an empath, and an intuitive.